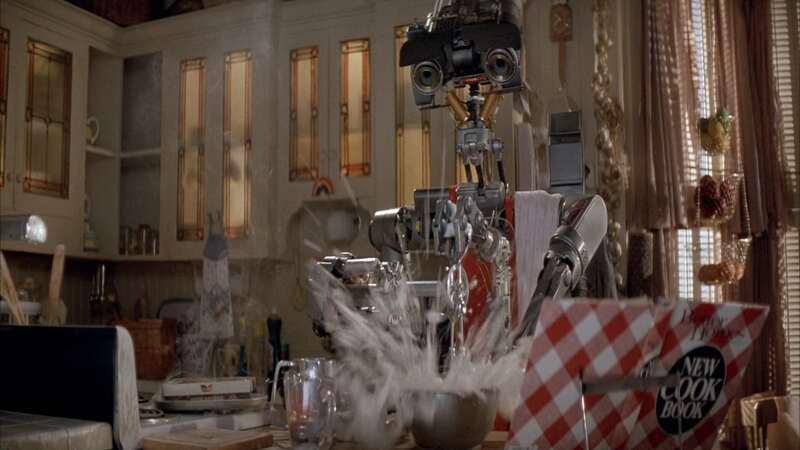 An anti-war teen-oriented comedy, Short Circuit features a cute robot but otherwise perfunctory characters and plot points. In Oregon, the NOVA military arms manufacturing company has developed five prototype robot soldiers equipped with laser weapons. The robots are designed by young genius Newton Crosby (Steve Guttenberg), who is ironically opposed to war. 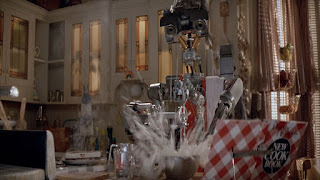 A lightning strike frazzles the electronics of Number 5 (voiced by Tim Blaney), and the unit escapes from the lab, ending up in the ramshackle home of animal lover Stephanie (Ally Sheedy). Stephanie and Number 5 get off to a rough start but soon become friends. The robot self-educates, learns what death means, and becomes fearful of being disassembled. Meanwhile Newton and his wise-cracking colleague Ben (Fisher Stevens) race to retrieve their robot, before the militaristic Captain Skroeder (G.W. Bailey) arrives with more extreme solutions. In the mid-1980s John Badham directed a trio of movies dealing with advanced technology's potential impact on warfare. 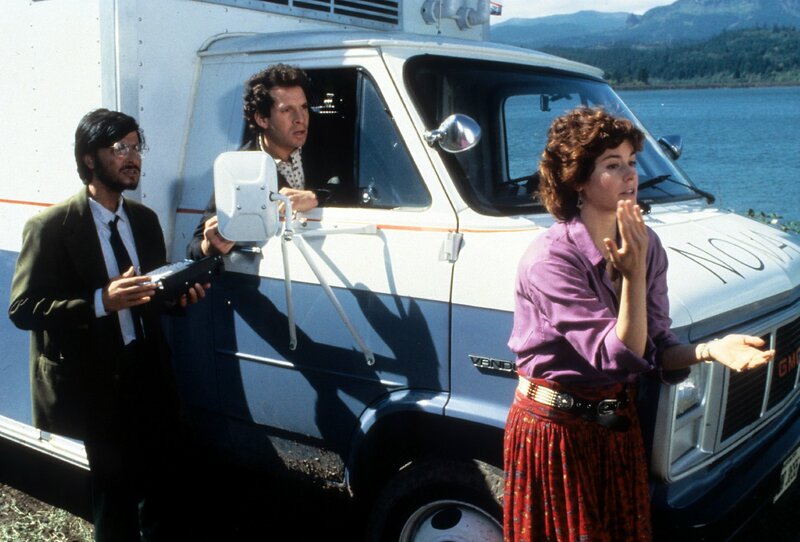 After 1983's WarGames and Blue Thunder, Short Circuit arrived in 1986 with a lighter touch but the same warning message and an unambiguous anti-war stance. The film is a showcase for the potential of robotics and artificial intelligence, and features decent mechanical special effects. In many ways Number 5 is also a cousin of E.T., the flummoxed visitor needing to make sense of the world, befriending a lonely human and escaping would-be harm doers. The robot is provided with childlike expressions, innocent mannerisms and some dry comic ability, ensuring maximum cutesiness. When Number 5 is on the screen, whether reading, watching television, cooking or dancing, Short Circuit works well. The rest of the film is ordinary at best and only appeals to an undiscerning and younger audience. The characters are barely defined, with Stephanie bubbly and Newton grating. Things get worse with the secondary cast members, sidekick Ben's attempts at comic relief often landing in stereotypical territory and Captain Skroeder's shoot-first ethos awkwardly shoehorned into the family-friendly script. The plot runs out of ideas around the halfway point and starts a rinse-and-repeat cycle, while the action-oriented scenes are clunky and hint at budget limitations. Short Circuit is happy in the company of machines, but blows a fuse when the humans are involved.